Do you own Xiaomi Mi 6? If yes, then you need to download the drivers for your device in order to connect your device to a computer or flashing the stock firmware on your device. 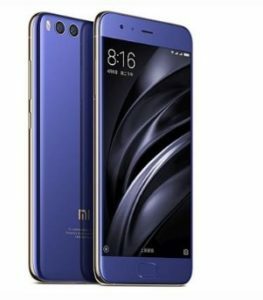 Xiaomi Mi 6 offers internal memory of 64/128 GB with 6 GB RAM or 64 GB with 4 GB RAM and is powered by octa-core Snapdargon 835 processor to increase the performance of the phone. The version of software installed on it is Android 7.1.1 (Nougat). Regarding the camera, it include Dual 12MP + 12MP Primary camera with dual-LED flash including features and 8MP secondary camera. The phone include 5.15 large display with a resolution of 1080×1920 pixels covered by corning gorilla glass 4 technology. It is packed with Li-Po 3350 mAh battery to support the large display of the phone. The connectivity medium include WLAN, Bluetooth, GPS, NFC, Infrared port and USB. The price of Xiaomi Mi 6 in Pakistan is 43,900.